New York Review of books published a book review of Timothy Snyder, a Yale professor of history. 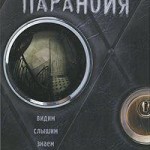 He reviewed Paranoia, a book of Belarusian writer Victor Martinovich. The review is accurate in almost all respects other than one. It is too paranoiac about the role of KGB in Belarus. KGB is presented as the almighty organisation similar to that which was in the Soviet Union. The reality is different. When people in Belarus try to be optimistic about political situation in their country they say – it is much better than in the Soviet Union in any event. Indeed, the state is no longer totalitarian. It has turned into a milder authoritarian regime. Although Belarusians are deprived of political freedoms they can freely travel abroad, use internet without any major restrictions, watch satellite TV and even buy opposition newspapers in kiosks. According to the book review, KGB agents are checking passports of all those arriving to Belarus without even introducing themselves. Those who travel to Belarus do not usually encounter anybody other that the border control and the customs officials. If there are any KGB agents at the Minsk airport – they are very good in hiding themselves. Perhaps the reason why Western scholars are so keen to demonise the powerless Belarusian secret service is because it is using the KGB brand. In reality, it is a weak and inefficient organisation more interested in doing business with loyal businessmen than in uncovering foreign plots. Until the modern period, Belarusian history was quite distinct from Russian… A heartland for half a millennium of the medieval Grand Duchy of Lithuania and the early modern Polish-Lithuanian Commonwealth, it became a borderland of the Russian Empire in the late eighteenth century. Because all of what is now Belarus was under the rule of the tsars in the nineteenth century, it was difficult for a national movement to emerge. The major local religion had been the Uniate Church, Eastern in rite but subordinate to the Vatican. It was merged with Russian Orthodoxy. The local language, Belarusian, was close enough to both Russian and Polish that local elites seeking social advancement tended to choose one or the other. The Belarusian movement began to gain supporters in the early twentieth century, but a short-lived Belarusian National Republic was absorbed by Bolshevik Russia. The Soviet leadership at first encouraged Belarusian culture, until Stalin had almost all of the significant Belarusian writers murdered during the Great Terror of 1937–1938. Lukashenko’s propaganda presents his own people, the Belarusians, as something less than a mature political nation. They are rather an ethnic group, dressed in Soviet-era folk costumes, somewhere amidst the livestock and the crops, mindful chiefly of food and shelter. Perhaps the author’s exaggeration of the role of KGB in Belarus can also be explained by the title of the book under review. Fair enough, those dealing with Paranoia may find it difficult to distinguish real from illusory threats. Read full the full text of review at NYbooks.com. A representative of Amnesty International met with prisoner of conscience, Maxim Dashuk, in September 2010. 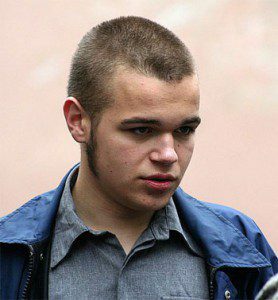 Maxim described how difficult it’s been to live under ‘restricted freedom’ following his sentence in May 2008, at the age of 17. On 15 June 2008 Maxim Dashuk was sentenced to one year and three months of further “restricted freedom” by the Maskouski district court in Minsk. He was convicted for violating the terms of earlier sentences imposed for their participation in the January 2008 anti-governmental protest and Amnesty International considers them to be prisoners of conscience. The young man had been among 11 people who were given sentences of up to two years of “restricted freedom” for “taking part in or organizing actions that gravely disturb public order”. Maxim has been sentenced to a total of two years and five months of ‘restricted freedom’. He is now 19 years old and the last two and a half years have taken their toll on him. He spoke with Amnesty International about the pressure he has lived under since his initial sentence. He is required to work for eight hours a day, which he does, running his own business assembling furniture. He has two hours a day to carry out his daily chores and, apart from that, he is required to be at home. At an age when his friends enjoy the usual teenage pastimes, Maxim has not been able to go to bars, restaurants, concerts or festivals, to enjoy sport or travel outside of Minsk since May 2008 and has suffered from a lot of fear as a result of the restrictions placed on him. Police officers and inspectors are able to make unannounced visits to his home to check he is there and if he isn’t, even due to unavoidable reasons, such as bad traffic, it can be counted as a violation of the conditions of his sentence. Three such violations may result in an extension of his sentence, which is exactly what happened to him in June 2009 and his original sentence was extended by another 15 months. Maxim will have served his full sentence on 21 October 2010. He told Amnesty International that he will be very happy on that day and that he wants to travel abroad and see the sea. Maxim also said that solidarity is a very important source of support and that he would welcome cards from members to celebrate his freedom.